One of the West Midlands fastest growing manufacturers threw open its doors last week in a bid to recruit new staff. 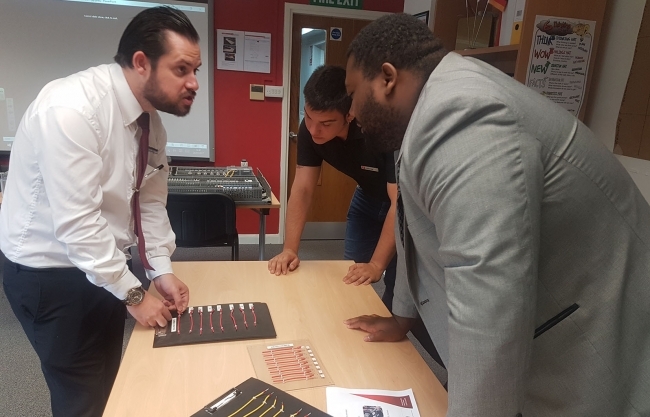 PP Control & Automation, which has seen sales rise to £20m this year, hosted its first ever Career Open Days to give individuals considering a career in industry the chance to see what opportunities there are to progress in the sector. School leavers, people looking to change professions or those wanting to get back into manufacturing attended one of the 2-hour slots that included a guided tour of the firm’s world class 40,000 sq ft facility in Cheslyn Hay, the chance to speak with current employees and an overview of current vacancies. Philip Newell, Training and Continuous Improvement Manager at PP Control & Automation, commented: “The last twelve months have been very good for our business and we have won a lot of new outsourcing contracts both at home and abroad. 25 people attended the PP Control & Automation open days, with 80% of those under the age of 25 years-old and from a wide range of backgrounds. They were introduced to the company by local training providers, colleges and schools, with all of those attending subsequently applying for one of the firm’s traineeship or apprenticeship roles. Philip concluded: “We were delighted with the turn-out and the interest taken in working at PP Control & Automation. The quality was very good so I’m now going through the applications and arranging interviews with our potential new employees. “Opening up the factory gives the applicants a chance to see if we are the right company for them and to get them excited. It worked perfectly and we’ll look to plan further open days in 2018, not to mention the launch of a prospectus-style magazine in January to showcase opportunities we have. PP Control & Automation has recently completed a £1m extension as part of ambitious expansion plans that will see it grow from £20m to £40m by 2020.